Every country has their own traditions and culture but some of the things they do in China is shocking. Check out these crazy facts from the East and see how many you knew. This is how Chinese soldiers are trained to keep their chins up. China has a huge poverty problem with over a million people living on the equivalent of one dollar per day. 3. Ketchup Was Invented In China As A Fish Sauce Called Ke-tsiap. There were originally several different variations of this sauce made with mushrooms, oysters, mussels and walnuts but tomato proved to be the most popular and is a regular table condiment today. When McDonald’s first introduced drive-throughs to China, the concept was so strange to people that they would pick up their food through the drive-thru, park their cars, and bring the food inside the restaurant to eat it. 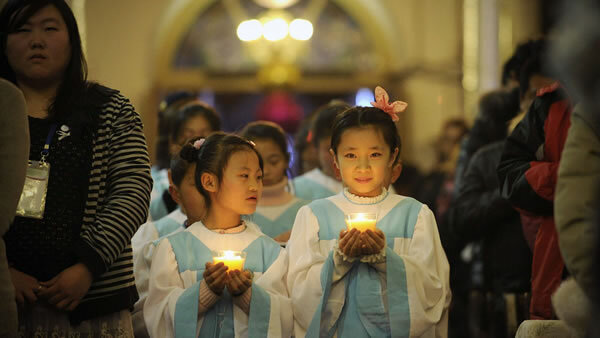 Christianity was introduced to the Chinese in the seventh century and but it is only recently that the country has seen a huge increase in followers. Despite this fact it appears that China are giving out more suspended death sentences than executions, which means the prisoner spends the rest of their lives in Prison instead. Between 2007 and 2011 the annual number of executions in China fell by half which has led to public support. Every year in early spring time, the urine of school boys under the age of 10 is collected and used to boil eggs. They are then sold for twice the price of a regular boiled egg. the residents of Dongyang residents believe that when the eggs are cooked this way it helps decrease body heat, promote better blood circulation and just generally reinvigorate the body. It was revealed that 99% of all music files downloaded in China were pirated. So, to try and make some money from these hits Google and numerous major record labels teamed up to give music downloads away for free so that they could make revenue from advertising. In some parts of China the police are trading in their canine partners. According the Chinese authorities the geese have much better vision, are more aggressive to strangers and require less looking after. Because of the “One-Child Policy” millions of mothers in China are forced to undergo abortions or sterilizations because they become pregnant with a second child and thus are breaking the law. Did you know that there are more people living in caves in China than there are living in the entire country of Australia. A study revealed that 29% of San Francisco’s air pollution is blown across the pacific ocean from China. Around a hundred manufacturers of stinky tofu in China were discovered to be using sewage to accelerate the production and fermentation of this food product. It can take around six months for the tofu to be ready to sell but the companies just wanted to get the food product on the shelves as fast as possible to make money. Every year, thousands of Chinese girls pay for an operation to restore their hymens shortly before their wedding. The discovery of the bride not being virgin has left many husbands wanting a divorce. China still use coal power plants which contribute to huge amount of air pollution in the country. While they are trying to find ways to reduce pollution it still growing out of control with Beijing being one of the most air polluted cities in the world. Back in 1973 during a meeting between Secretary of State Henry Kissinger and Chinese President Mao Zedong an unusual offer was put forward to America. Mao stated that China was over populated with women and offered to give 10’000 of them America. When his offer was refused he increased the amount to 10 million Chinese women. The deal never went through and the president of China had to make a public apology. Despite the Wii, PS3 and Xbox 360 being built in China they are actually banned. Since the year 2000, China decided that the youths were wasting their time on video games and so enforced the ban. But there is some good news on the horizon for gamers as China is looking into lifting the ban as of 2014. If you think eating cat meat is bad enough then knowing how they treat and cook the felines will shock you even more. Some Chinese believe that cat meat is good for helping a person’s yin and yang balance, they also believe the meat has healing properties too. 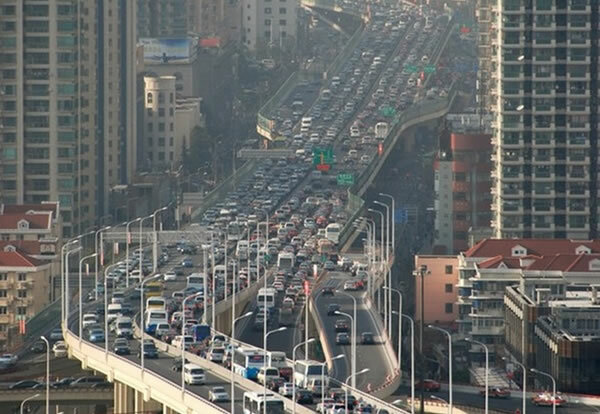 Back in 2010 thousands of motorists got caught up in the worlds longest traffic jam in Beijing. The tailback stretched 60 miles on the National Expressway 110 between the capital Beijing and Inner Mongolia. Motorists were stuck in the traffic for 11 days. The traffic jam was caused by roadworks which resulted in motorists sleeping in their cars and 400 police being called in to resolve the situation. A new pavement lane has been created in the city of Chongqing for people who walk and text and don’t look where they are going. The lane stretches 50 meters and runs parallel with a pavement lane that prohibits the use of cell phones. Do you know any other crazy facts about China? – How Do They Make Buddha Shaped Pears In China? – China Mountain Glass Walkway – Are You Brave Enough To Walk It?